North Road shape bicycle handlebars. 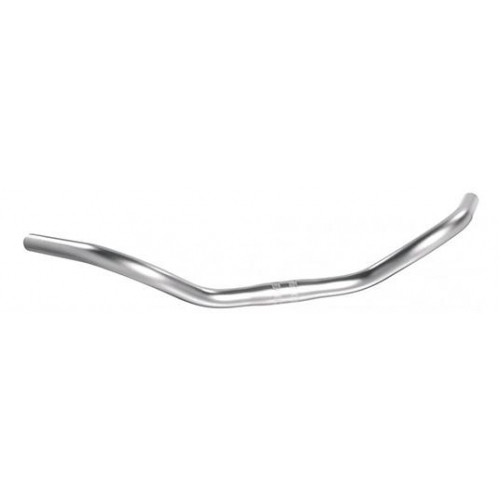 These are our favourite shape of bars for everyday bicycles. They are very comfortable to ride with over short distances or long. This classic shape is fitted on old British 3 speed bicycles (including my own old 3 speed). Available in Aluminium, black aluminium or stainless steel. 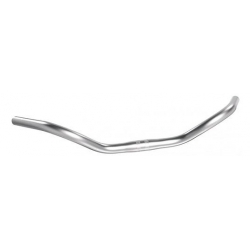 Turned upside down, these make fine "moustache" handlebars. Note: exact widths vary slightly with manufacturing date and colour. 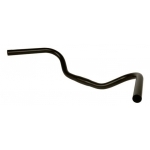 At the time of writing, black handlebars in stock are 550 mm long while the plain aluminium measure just over 600 mm. 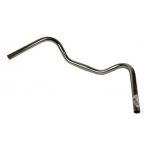 If you wish to make the bars narrower it is possible to shorten them by cutting the same amount off both ends of the bars with a hacksaw. See the Additional Images for dimensions and the shape of the "shorter/lower" option. This option positions the grips closer to the rider and lower on the bike (or higher if used upside down).